The Holy Bible and life experiences. 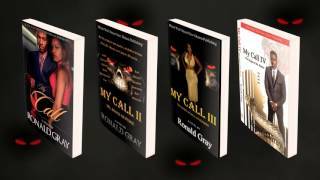 Ronald Gray was born in Washington, D.C. and attended high school in Maryland. After a short time in the military, and living in various states, he ended up back in Maryland where he presently lives. He enjoys reading, traveling, and weight lifting. Discovering writing as his blessing and passion, Gray looks forward to waking up just to write. This led to the formation of Black Wall Street New Dream Publishing. This is his first book, but hardly his last. Some people write stories from their imagination, but Gray has lived many of the experiences he writes about. He knows what it is like to do supernatural things by the forces of darkness, to walk in the awesome pow-er of God, and to see the so called impossible become instantly possible…. 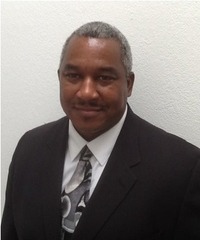 Ronald Gray was born in Washington, D.C. and attended high school in Maryland. After a short time in the military, and living in various states, he ended up back in Maryland where he presently lives. He enjoys reading, traveling, and weight lifting. Get ready to be emotionally and spiritually blown away by his forthcoming books and movies that will affect so many people in a positive way. You will see yourself as one of the characters in every story. His stories are for people who want the raw uncut truth. This is the world we live in! To ask Ronald Gray questions, please sign up. Librarian asking for a patron: Is there going to be a Master Deceiver 2? I have been reading this book the master Deceiver and from the start it captures your attention. You cant stop reading once you start just read the first page you will not stop reading it it keeps you thinking you cant wait to see what happens next am half way through enjoying everything about this book cant wait to get to see what the ending brings.
" Black Wall Street New Dream Publishing has a book trailer for this book. Please take the time to view it and share it with everyone. Thank you. https: Black Wall Street New Dream Publishing has a book trailer for this book. Please take the time to view it and share it with everyone. Thank you. 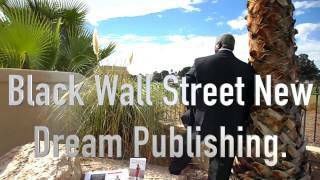 https://www.youtube.com/watch?v=Oy-jP... ...more "
" 08/26/2017 Black Wall Street New Dream Publishing continues to grow. My Call IV The Origin of Mr. Bones is in Barnes & Noble book store in Las Veg 08/26/2017 Black Wall Street New Dream Publishing continues to grow. My Call IV The Origin of Mr. Bones is in Barnes & Noble book store in Las Vegas. A store book signing is coming soon. We are going National. ...more "
" 08/26/2017 Black Wall Street New Dream Publishing continues to grow. My Call III The Spirit of Hell Unleashed is in Barnes & Noble book store in L 08/26/2017 Black Wall Street New Dream Publishing continues to grow. My Call III The Spirit of Hell Unleashed is in Barnes & Noble book store in Las Vegas. A store book signing is coming soon. We are going National. ...more "
" Black Wall Street New Dream Publishing continues to grow. My Call is in Barnes & Noble book store in Las Vegas. A store book signing is coming soo Black Wall Street New Dream Publishing continues to grow. My Call is in Barnes & Noble book store in Las Vegas. A store book signing is coming soon. We are going National. ...more "
" 08/26/2017 Black Wall Street New Dream Publishing continues to grow. The Master Deceiver Be Careful What You Ask For are in Barnes & Noble book st 08/26/2017 Black Wall Street New Dream Publishing continues to grow. The Master Deceiver Be Careful What You Ask For are in Barnes & Noble book store in Las Vegas. A store book signing is coming soon. We are going National. ...more "